Technology is a critical factor in driving SMB growth. The rise of these 6 trends has changed the way SMBs operate globally. Small to Midsize Businesses (SMBs) are always on an accelerated journey towards gaining new customers while maintaining existing customer relationships. In addition, there is always a race to grow, expand and outweigh the competition. In this race of growth and sustainability technology plays a vital part. Modern day technology can help SMBs be more productive and efficient while aiding them to make effective business decisions based on real-time data and analytics. Cloud is the way to go and is not a matter of debate anymore. They have started to incorporate Artificial Intelligence aided with cloud based analytics that enables companies and the relevant stakeholders with real-time data that can be accessed across the globe. This will provide the business with the flexibility in accessing real-time information about customer, production, industry and product, thereby assisting them in making effective decisions, fast. This solves one of the biggest challenges for SMBs – anticipating their customers’ needs, behaviors and developing product or serving them in a way that drives profit. IoT is primarily used by the SMBs in verticals such as utilities, manufacturing, asset tracking, smart homes, and wearables. Real-time data tracking and management, faster transactions, enhanced remote access are some uses of IoT that is heavily being used by businesses. SMBs are heavily using digital twin as a means of creating an identical digital copy of a physical object/product or process. It is a great way of testing various versions of machinery, product releases and workflows, predicting the outcomes faster prior to any critical business decision that businesses make. Coupled with AI and Augmented or Virtual reality, the reach of digital twins gets amplified manifold. Shorter time to market and lower R&D expenses are some of the benefits that is tagged along with this trend. The margin of error in using digital twin is extremely minimal. With this technology, hundreds or even thousands of variables can be taken into account, and the process can predict its conclusion before any investment has been made toward actual physical changes. Data in today’s world is critical and valued the most. Connecting the data via modern day ERP that is coupled with CRM, business intelligence and machine learning will help automate the small and medium businesses. This will increase accuracy and efficiency in processes, predictions, and reporting, thereby enhancing informed and accurate decision making, each time. Additionally, it greatly helps in personalization where companies can leverage segmentation and provide right data to right sets of eyes at the right time. Microsoft Dynamics 365 is one such powerful ERP leveraging the power of cloud, BI, and analytics helping companies in a huge way while being cost efficient at the same time. As businesses continue to grow, the associated data and security threat also grows. SMBs have a varied set of security needs, from data loss prevention to data protection and threat minimization. The trend is growing towards outsourcing cybersecurity to vendors providing “best of breed” solutions and tools. The idea of having one vendor to cater to this in place of several, is appealing to companies as they can have a consolidated view. Download our whitepaper and know 5 Ways ERP prepares SMBs for long-term growth. You need a Project Manager for your next ERP project. ERP implementations disrupt business operations and place huge demands on the time and attention of company leadership, functional area leaders, subject matter experts and the IT staff. The role of a PM is to ease that burden. An experienced PM is worth their weight in platinum. You may be tempted to PM the project yourself. But ask yourself “Do I really have the time or the right experience?”. Add Value – An experienced PM will help you identify and avoid the typical bear traps, and other impediments that will inhibit your project’s success. They will help you reduce wastes of time, resources and money. Establish Effective and Efficient Project Governance – Project governance refers to those processes that provide project control support for project sponsors, decision-makers and stakeholders. Manage Project-related Communications – Communicating the project status helps keep the project team and stakeholders informed. Manage the Schedule – Effective PMs aggressively manage the work using detailed project schedules, monitor schedule variances and recommend corrective actions to keep the project on track and on budget. Monitor and Manage the Project Team’s Performance – Performance management leverages routine status checks to ensure performance issues are identified and corrected quickly. Manage Risks, Issues and Changes to Scope, Timelines and Budgets – The most common reasons projects fail are related to poor management of risks, issues and scope. Good PMs identify, evaluate and communicate risks, issues and the impact of change requests to affected stakeholders. They also coordinate optional solutions to deal with issues as (or before) they appear. It’s clear that someone needs to ensure the project stays on track. You owe to it to yourself to go with an experienced professional. Contact Tridea today at info@trideapartners.com. In a life sciences business, there is no lack of data related to product development, clinical trials, production (in-house and contract manufacturing), quality assurance, costing, the supply chain and other areas of the operation. How do you make sense of it without investing in compliance, data processing and analytical technologies? Moving to the cloud can help you cut costs and achieve compliance, but you run the risk of needlessly limiting the potential cloud benefits you can achieve by focusing on financials alone. We recommend considering all the 4 following aspects of cloud computing in your planning. 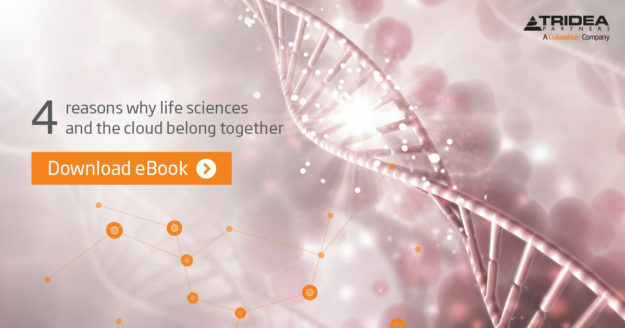 Download our guide to learn the 4 reasons why life sciences and the cloud belong together! At Tridea, we help our life sciences customers digitally transform their businesses and improve the value realization of their business application investments. We mitigate the inherent risks associated with implementing, upgrading and replacing legacy ERP systems. We lead our life science customers with best-practice consulting services we have refined over thousands of engagements. We take care of our customers and aspire to keep them for life. To learn more about how Tridea can help you get the most out of your Microsoft solution in the cloud, visit our website. How does moving to the cloud help achieve your goals for growth, innovation, and competitiveness, and what are some of the main outcomes of transitioning to the cloud that you might want to anticipate and plan for? For many life sciences companies, evolving legacy systems from condition based to predictive, enabled with data insights from IoT, is an important use case for cloud technologies. Your analysis of data coming from connected devices, and the IoT, allows for improved communications with your contract manufacturers, 3rd Party Logistics providers or in-house manufacturing team. This connectivity allows for you to anticipate and avoid poor decisions on R&D and product movements throughout the enterprise. That intelligence enables you to keep product innovation to occur quickly and/or fulfilment of orders to be as efficient as possible. In life sciences, the ability to compete as a viable, relevant business depends largely on your ability to understand and control product research and supply chain. This learning offers an avenue to intelligence that overcomes the practical and conceptual boundaries of individuals, who are easily misled by their selective awareness of events and trends. Instead of acquiring the tools and building your own intelligence systems, you can take advantage of the resources available in the cloud today. When you connect your industrial assets or the complex products to the IoT, storing and processing the data in the cloud, they become available to cloud intelligence that can combine with data from your entire operation. At that point, your insight is not limited to your individual employees. You can surround it with contextual information about R&D, material planning, training and the supply chain. If you want to cast an even wider net, you can also assess customer behaviors, market trends, and competitive threats, and correlate those findings with your R&D and product management. Predictive maintenance is a great achievement that your internal and external customers will appreciate. No need to stop there. Cloud-enabled, intelligence-driven collaboration with your customers can help you understand them much better, strengthen the relationships with them, and maintain your share of their attention and spending. It can also result in product enhancements that you might eventually launch to your entire market. Within your organization, you can rely on the performance and scalability of cloud resources to enable scientists, partners and rest of the workforce collaborate from anywhere. They can use cloud-based virtual reality modeling to work together on new formulas and products. You save the expense and disruption of business travel by your skilled innovators, and you enable them to collaborate always, not just on special occasions. If your IT department is fully occupied with the day-to-day activities of keeping applications, networks, and infrastructures running and secure, you can move most of these routines to the cloud and let your service provider handle them. Instead, you can use your in-house IT resources to perform custom development and other high-value tasks that help you move forward. Working with a strong cloud service provider, your IT team can efficiently learn the skills of development, provisioning, resource management, and security in the cloud, especially if you maintain a hybrid environment that requires integrations between on-premise and cloud computing. You can draw on your service provider’s specializations, for instance, to enable advanced intelligence, collect and process large volumes of data, or take the complexity out of working in the IoT. Leading cloud providers maintain advanced cloud infrastructures in global networks of data centers. They will have a data center close to your headquarters, and, when your company reaches across the globe, they can support you wherever you go. That means you can grow in the cloud at your preferred pace. If you want to take a measured, low-risk approach, you could move just one workload into the cloud – product engineering, for example – to start with, and test the new infrastructure’s performance, reliability, and analytical capabilities. You continue your cloud migration at the right time. When you’re ready to increase the momentum, you can take advantage of cloud-based ERP and CRM resources with multi-language and multicurrency features to reach customers and markets anywhere. If you’re operating production and distribution facilities in several countries and regions, the cloud offers an efficient way to make corporate systems and information available to them and connect their processes to the entire organization. 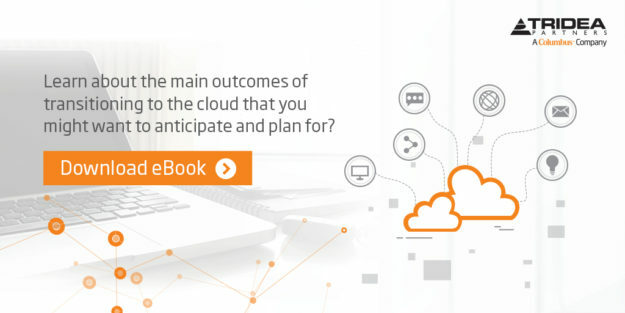 Starting now, you can act on the cloud opportunities that offer the highest benefits. Together, Tridea Partners technology and expertise, Microsoft Dynamics 365, and the analytics resources available on the Microsoft Azure cloud can make life sciences business growth in the cloud practical, fast, and affordable. Before, during, and following your move to the cloud, we help you optimize processes, increase efficiencies, and reduce costs. We offer proven, practical solutions and approaches within an affordable subscription model that eliminates distractions and lets you focus on results. At Tridea, we help our life science customers digitally transform their businesses and improve the value realization of their business application investments. We mitigate the inherent risks associated with implementing, upgrading and replacing legacy ERP systems. We lead our life science customers with best-practice consulting services we have refined over thousands of engagements. We take care of our customers and aspire to keep them for life. CFO’s often ask “Why should I renew my Microsoft ERP’s Maintenance Plan”? The answer is twofold – 1) There’s tremendous value associated with being on a current Maintenance plan and 2) there’s a significant downside to not renewing in a timely manner. You maximize the solution value with ongoing Microsoft Dynamics product improvements.If your Maintenance Plan is current, you are entitled to new software upgrades, updates, product fixes, and service packs. Microsoft often improves or adds functionality with new releases of the software. These all enable your business to be up-to-date with Microsoft’s innovations. If your plan is not current, you will miss out on these innovations. You retain access to CustomerSource.CustomerSource is a large knowledge database supplied and maintained by Microsoft, and can be used to get essential information such as technical support, product updates and downloads, training, events, and provide access to community forums. It available 24/7. Many of our clients use CustomerSource to aid them as they configure or troubleshot issues that arise occasionally. This saves the client time and cost when they can perform the work themselves. Important Note: If your organization decides to let the Maintenance Plan lapse, you will be no longer entitled to any of the services listed above. In addition you will not being able to purchase new modules or user licenses. It’s possible to re-institute a Maintenance Plan, but please be advised that Microsoft does charge a penalty. We highly recommend that you stay current on your Maintenance Plan. Author Mandy VogtPosted on February 8, 2018 February 12, 2018 Categories Microsoft ERPTags Dynamics ERP, erp, Microsoft Dynamics ERP, Microsoft ERP’s Maintenance PlanLeave a comment on CFO’s often ask “Why should I renew my Microsoft ERP’s Maintenance Plan”?